Pure Office Solutions work with two of the leading manufacturers and suppliers in contract flooring. We work with Burmatex for our carpet tiles and planks also for luxury vinyl flooring, we use Karndean flooring. Our products are specifically designed to suit all budgetary requirements, whether seeking a low-cost solution or a high-end specification. From planning to installation, we will work with you to ensure that we achieve what you have in mind. Our range of office carpets include striped carpet, patterned carpet, polypropylene carpet and carpet squares. You can choose your carpet from a variety of solid colours, stripes and unique, striking patterns. Whether you choose carpet or vinyl flooring, we can guarantee that our extensive range of choices can be used to create that stylish, modern and functional office space that you want. The robust structure of Burmatex level loop pile carpet tiles boast a hard-wearing finish with many design options available including a variety of solid colours, stripes and unique, striking patterns. Our BREEAM A and A+ rated loop pile ranges are manufactured to work alongside all Burmatex ranges to complement any interior design with our Tivoli range alone offering up to 41 different colours. Loop pile carpet tiles with class 33 heavy commercial wear classification offer extensive opportunities for unique flooring schemes with their soft feel adding an element of luxury and comfort to any commercial environment. Burmatex carpet tiles are used across number of market sectors. They are highly valued for their great performance, unique design and excellent value for money. Our carpets are the most popular in commercial offices, education, public sector, leisure and retail. This new shape is suitable for heavy commercial use (class 33), is fully BREEAM and SKA compliant and planks maintain the simplicity of modular flooring while enriching the design possibilities from the Burmatex product portfolio. Karndean Design flooring brings the ageless beauty of natural flooring to your office space without the hassle. Floors with all the wondrous individuality of wood grain, the luminosity of marble and the subtle textures of limestone and slate, but much easier to install and look after. 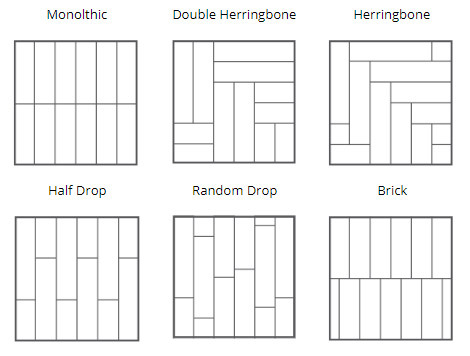 You can create an even more individual looking floor by laying the flooring at different angles or patterns or choosing finishing touches like borders or inserts to create a customised look. 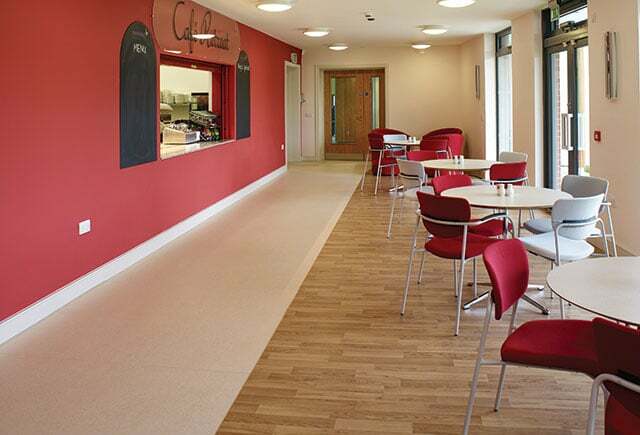 Stylish surfaces for high impact areas: In high impact places such as reception and waiting areas, Karndean Designflooring’s faithful reproduction of natural materials and ease of laying in zones can help your client make the right first impression upon visitors and potential customers. 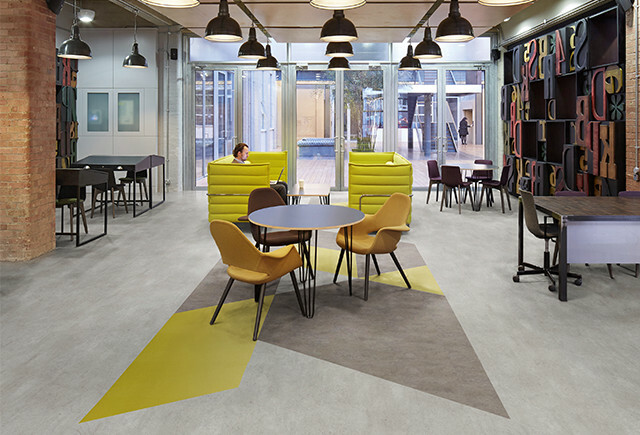 Our range of large floor tiles and planks can help create a sense of space in larger areas, whilst our customised service options provide businesses with bespoke features or a prominent company logo to reflect their brand personality. As well as encompassing durability and style, Karndean Designflooring requires only minimal cleaning using simple techniques and environmentally friendly materials. Furthermore, our K Guard+ system protects against scuffs, stains and scratches for even easier maintenance of that beautiful just-installed look. It's small details like these that save office operators time and money and minimise disruption of day-to-day office productivity. As you'd expect from a leader in office flooring, every stylish, safe, durable Karndean products have a generic A/A+ BRE Global Greenguide rating associated with it. That's one less detail to worry about as you strive to incorporate best environmental practice in your next project. Plus, with guarantees on some ranges reaching 20 years for commercial environment and the low cost of maintenance, the life cycle costs of specifying Karndean are highly favourable in comparison to other flooring options. 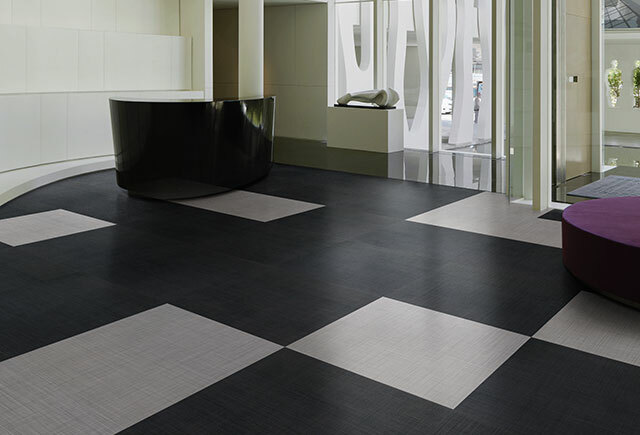 Polyflor is a major manufacturer of commercial floorcoverings, operating successfully throughout the world. 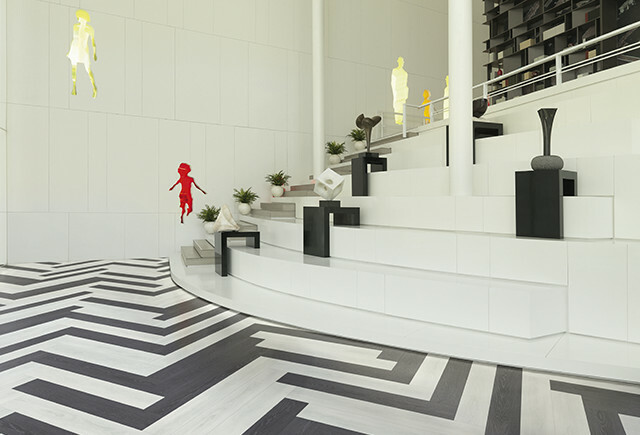 Attractive high performance and high quality homogeneous flooring available in a non-directional or marbleised decoration and featuring an enhanced maintenance protection for optimum appearance retention. They achieve a BRE Global Environmental A+ Rating (Certificate No: ENP 472) in major use areas such as education and healthcare and is GreenTag LCA Rate certified with GreenRate level A - Gold Plus. Generic EN 15804 Environmental Product Declaration (EPD) available on request. 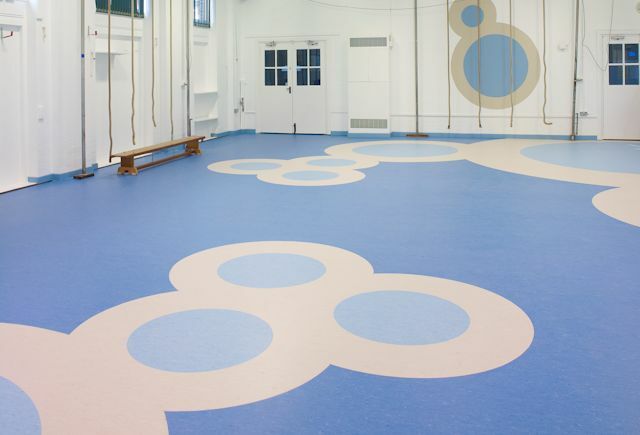 Polyflor Pearlazzo PUR features a high quality, cross-linked polyurethane reinforcement, UV cured to provide a low-cost, polish free maintenance regime for the lifetime of the flooring. High specification, decorative safety vinyl flooring range combining the assurance of sustainable slip resistance with high durability for years of performance. All Polysafe conforms to HSE Guidelines & EN 13845. Polysafe safety flooring ranges have good resistance to dilute acids and alkalis, are compatible for use with the most commonly used alco-based hand gels and are suitable for steam cleaning on a periodic basis. Design-led and extensive collection of highly authentic wood, stone, slate, metallic and abstract designs, available in both plank and tile formats. Features realistic surface textures and polyurethane reinforcement, making it ideal for commercial and residential sectors. Available in standard and slip resistant formats. Expertly combing aesthetics with performance, the robust formulation, polyurethane reinforcement (PUR) and impact sound reduction level of 19dB, meets the demands of today’s commercial interiors whilst offering a suite of modern colours and designs.